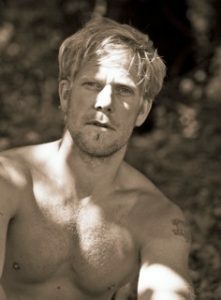 Richard (BWY diploma) was born and grew up in Birmingham UK, and has been teaching with Yoganu since 2007. He is recognised by Yoga Alliance as a Senior Yoga Teacher. 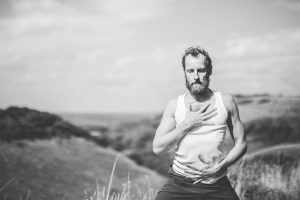 He completed his British Wheel of Yoga Diploma in 2008, and has since completed a 2-year diploma in Yoga Therapy, studied intensively the soft architecture of the body, known as fascia and has completed a 3 year course in Shamanic Practices. He continues his study of the mind, body and spirit through yoga, intuitive movement and shamanic journeying. Richard’s classes are fun and creative, and cater for all individuals needs, regardless of experience or ability. He is brilliant at explaining some of the most complex philosophies in a simple and understandable way. His playful curiosity towards yoga and his personal fascination with the workings of the human body (anatomy) and consciousness (quantum science) go hand in hand with the ancient teachings and philosophies of Tantra. Follow Richard’s yogic journey: www.yogamanifest.com. His email is richard@yoganu.co.uk. Andy has taught mindfulness for 7 years and practiced yoga asana for 13. It was on his mat in a class a few years ago, that he realised what yoga had come to mean to him and that he had to share its treasures with others. Andy teaches a busy class schedule and runs a shiatsu clinic near Colchester in Essex. Site by simon@freedomhypnosis.co.uk. Corrections and updates to Simon please.